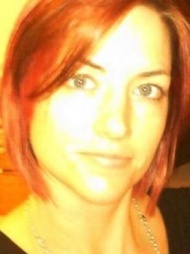 I worked in the beauty industry (aka salons/spas/beautysupplies) as a district manager. I watched stylists, cosmetologists, estheticians etc lose motivation, make little money, and play games on their iphones inbetween clients. I thought, it doesn't have to be this way. Education is expensive, time is wasted online instead of building business, and potential clients are already getting online to find new hairdressers. So I came up with something to help all parties involved - The Ask -a- Salon Network. I found the perfect co-Founder (an early adopter) about 1 year later, along with 3 industry pro's to help me grow this little baby. 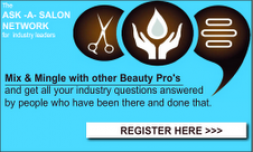 1- Ask A Salon Professional : Here, web browsers can ask a professional their beauty question. We geolocate their answers, essentially sending the question straight to mulitple neighborhood salons or spas (and Ask -a- Salon members) who can answer the question with authority. This creates a dialog between salon & client that isn't really offered anywhere else. The salon can then offer them a deal or invite them in. 2- Beauty Professionals - this portal is to cultivate the talent and career of the pro's. This takes care of helping stylists/cosmetologists build their business while on their iphones inbetween clients.We are currently forming a mentorship program as well as have a twitter-esque newsfeed going for pro's to share their work and learn from others. This keeps them interested and coming back to the site. Certifications for advanced education are coming down the road.We are doing this for the love of the industry. So the deal is we want education to be more accessible to everyone, no matter where you are in your career. That is why we want to offer inexpensive options like certifications and discounts with our partners, of which we have only a few at the moment. 3- Login - this is for our beauty pro's only. We will close off the forums and allow only members to access once we get some more traction! Well, we aren't so concerned with taking over the world. This is a fun project . We have plans for a business portal with a membership cost, as well as Online Certifications that will be a pay per view type structure. Then we are also partnering with a beauty supply company, as our primary advertisement.